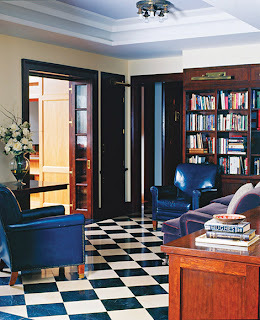 On June 12, 2008, a few months before I started this blog, I read an article by Penelope Green titled Mystery on Fifth Avenue in the Home & Garden section of the New York Times. I was so entranced by the story of Maureen Sherry who, before moving into an "enormous '20s-era co-op with Central Park views (once part of a triplex built for the philanthropist Marjorie Merriweather Post), gutted to its steel beans and refitted with luxurious flourishes like 16th-century Belgian mantlepieces and customer furniture made from exotic woods with unpronounceable names," worked with an architect, an author and a singer to hide a mystery within the walls and furniture of their future home that could be unraveled by her four children. More than a year after the family moved into their new home a poetic letter arrived in the mail and the mystery solving was underway. Over two weeks, the family uncovered eighteen clues hidden throughout their home. The grand finale involved removing two door knockers that fit together to make a crank that opened hidden panels in a credenza. Multiple keys and keyholes opened drawers full of acrylic letters and a cloth crossword puzzle grid to assemble them on. 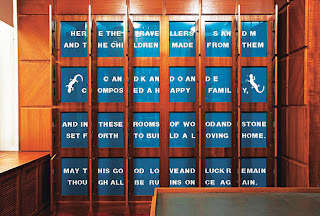 This lead to another hidden surprise - a poem concealed behind panels that revealed a poem written by Steven Klinsky, Sherry's husband and father to their children. There is actually quite a bit more detail to this real-life story that reads like a novel and the whole article is definitely worth reading. I was immediately reminded me of EL Konigsburg's From the Mixed-Up Files of Mrs Basil E Frankweiler. I clipped the article and slipped it into a folder but never forgot about it, pulling it out from time to time. How cool to be able to create something so unforgettable for your children? I have been lucky enough to have a reader of my blog who is also the mother of an avid reader. Over the years she and her young reader have recommended A Nest for Celeste by Henry Cole (now in paperback and soon to be reviewed here) and Here Be Monsters! by Alan Snow (also soon to be reviewed here). In a recent exchange, she told me about a book her bookivore had just finished reading and described it. I responded enthusiastically and told her it reminded me of this newspaper article I read years ago. Turns out we were talking about the same person! Unbeknownst to me, in September of 2010, Walls Within Walls by Maureen Sherry was published and, as of this month, it is now available in paperback! Of course I snapped it and read it in a matter of days. Sherry, who was a managing director at Bear Stearns & Co before becoming a mother, has an MFA in non-fiction writing from Columbia. 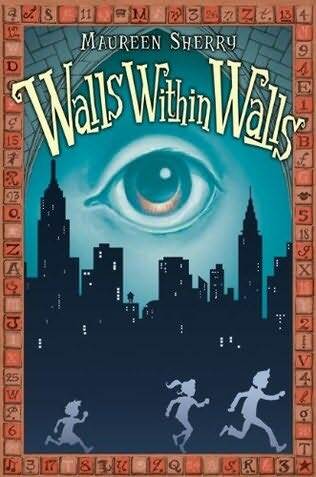 This shows in Walls Within Walls, which has superb illustrations by Adam Stower, which is packed with historical information about New York City, from its architectural landmarks to its famous inhabitants. The mystery surrounding the hidden (or possibly lost) treasure of Lyon Post, a fictional character modeled after CW Post, pioneer in the prepared food industry and father of Marjorie Merriweather Post, former owner of the Sherry-Klinsky home, is also layered with poetry by the likes of Edna St Vincent Millay, Langston Hughes and Thomas Hardy, among others. Walls Within Walls begins with the Smithfork family moving from their cozy home in Brooklyn to a swank new home at 2 E 92nd Street in Manhattan. The kids, twelve-year old CJ, nine-year old Brid, six-year old Patrick and two-year old Carron, are not only despondent about the move, which has been financed by their computer-game-designing father taking his company public, but also sad that the financial changes in their lives mean that they see less of their parents. In fact, their mother who is busy decorating their new home, has even hired a nanny. However, things go from boring and lonely to covertly exciting very quickly when an indoor game with a tennis ball breaks the wood frame holding up a grille in Patrick's room and the kids discover a wall behind their wall. On this wall is an enormous painting with one of the unblinking eyes staring through the opening. Naturally intrigued, the kids lower Patrick between the walls where he discovers a dusty old book as well as coded writing hidden within the painting. Opening the book, a copy of Treasure Island, shows that it was checked out of the library by Lyon Post in 1937. A note slips out asking the finder of the book to please return it to the library. After paying the reasonable overdue fine (about a dollar for every year) CJ and Brid are given a package and told that Mr and Mrs Post, benefactors of the library, were allowed this uncommon indulgence because of their generous donations. 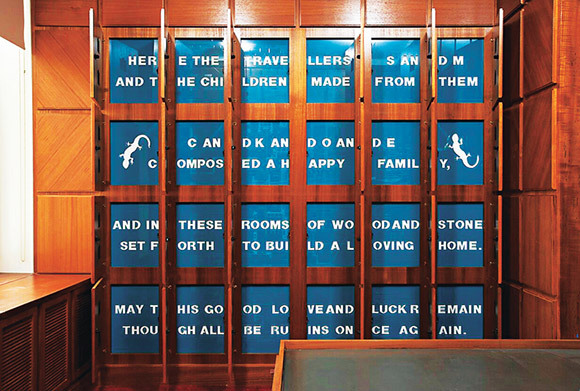 The book, which is dedicated to Eloise and Julian, Post's children, contains seven poems related to seven landmarks all over the city, as well as more hidden clues within the apartment itself, and leads the children on a suspenseful trek all over Manhattan. Along the way, the Smithfork kids gain an ally in their elderly downstairs neighbor, Miss Munn, who turns out to be Eloise Post herself. With her help they learn to make sense of the clues and put them into context when she describes her father's love of mysteries, riddles and treasure hunts and spending his vast fortune to collect everything from paintings and maps to jewels and gold. She also tells them about the fear among the NYC wealthy in the 1920s and 30s of losing their wealth in a fire as well as of the kidnapping of their heirs as a way of explaining the disappearance and possible kidnapping of her brother Julian as well as the seemingly eccentric behavior of her father. All this leads to an exciting climax that includes being stranded in a subway car during the biggest snowstorm in years as well as a midnight swim in a water tank to finally uncover a treasure beyond anyone's wildest imagination. With Walls Within Walls Sherry has written a solid, if sometimes dense book. While I loved the poetry and the history, including learning about the Spanish architect Rafael Guastavino who, along with his son, invented a way of building soaring arches made from layering tiles that was both sturdy and, most importantly at the turn of the century, fireproof, as an adult reader I felt that there were too many instances of exposition that sometimes seemed to hinder character development. Every character seemed to have a special area of interest or skill that happily suited the needs of the treasure hunting detectives. CJ has a classmate who knows about dot writing, which he explains was a way for Colonists to avoid paying taxes to England, and can recognize a Carl Sandburg poem, thus solving a clue for the kids. CJ knows about the Harlem Renaissance and frequently prints information off the internet and reads it out loud to the others as they travel around the city tracking down clues, even eliciting a "Young man, you astound me with your knowledge," from Eloise at one point. CJ also recites an obscure poem by English clergyman and author Charles Kingsley (The Water Babies) that prompts Eloise to exclaim, "Young man, I cannot believe you know that poem." CJ explains, "I hate poetry. It's just that we read this in school, and I remember poems. They stick in my brain and bug me!" Six year old Patrick is dyslexic and because of this is able to solve several of the word jumbles and coded messages that Post left as clues. Brid is a list maker and snippy with CJ and sometimes bossy with Patrick, but she mostly takes a back seat to the story. The siblings often seem annoyed with each other and the story feels like it is missing that moment of recognition and connection when they come together as a unit, a team. As I said above, these things stand out to an adult reader, but I have no doubt that a young reader will devour this exciting story. And, as I've said several times before, writing a mystery, especially a contemporary mystery, for kids is a complex and difficult task, even more so if the author wants to make it seem as realistically solvable by kids as possible. Sherry has taken on a mammoth task with Walls Within Walls, created a candy store crammed with clues, and written a book that parents and kids will love, wether they know the backstory of Sherry's own apartment or not. And, Walls Within Walls contains a brief after words that finds Brid alone in the middle of the night puzzling over an engraved box Eloise has given her - a box that has carvings around its edge that match the border of the cover art on Walls Within Walls. As she figures out the clue, the narrator tells us that this message will launch her, CJ and Patrick "into a far more dangerous mission than the one they just completed." As an interesting side note, five days after the article mentioned at the start of this review ran, the New York Observer reported that JJ Abrams (television's Lost and the recent Star Trek film, among others) signed on to produce the movie version of this story with Paramount producing. 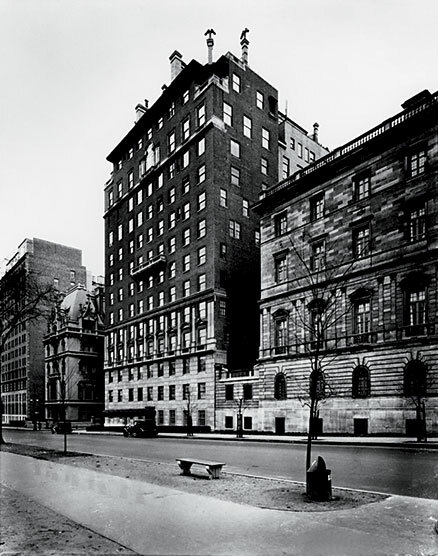 So, look for a movie about the "Mystery on Fifth Avenue" sometime in the future!